Replacing and adding new windows throughout you home can really bring it back to life as well as add to its value. The problem homeowners soon realize though is, “There really is a lot to picking out windows.” Style, design, size, energy factors, trim, finishes, hardware.. it can all get a bit overwhelming. At Minnesota Roofing and Leafless Gutters we are here to make the process enjoyable for you! 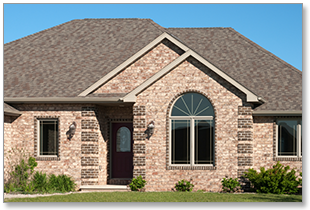 New windows may be just what you need to add some flare to your home and we understand the process of installing windows! We are waiting to answer all your questions about your future window project! New windows may be just what you need, and here are a few reasons why! We only use windows that are designed to deliver outstanding climate control. What this means is year round comfort and cheaper energy bills! Old windows often stick and are hard to open, if they open at all. New windows made of vinyl are a breeze to clean, and you never have to worry about painting or puttying again! New windows add beauty to a home as well as value! Whether you are looking to replace an old broken window, or looking to have the whole house replaced with energy efficient windows we would love to help! Give us a call at 612-221-0362 or fill out our contact form! © Copyright 2019 Minnesota Roofing & Leafless Gutters. All rights reserved.